Calroy’s mission is to develop innovative therapies in the emerging field of the vascular endothelial glycocalyx (EG) and cardiovascular health. Our innovations are already enabling thousands of people to live healthier and more fulfilling lives. In partnership with its academic collaborators, Calroy has developed a completely new approach to cardiovascular support. The focus of the company’s research effort is the protection of the endothelium. Understanding that almost all cardiovascular challenges begins with injury to the endothelium, Calroy is focused on the health of the endothelial glycocalyx, a microscopic gel-like lining that naturally protects the endothelium. When the glycocalyx is breached, cholesterol can lodge under endothelial cells, initiating the inflammatory response that leads to plaque formation and thrombotic events. It transpires that the endothelial glycocalyx is exceptionally vulnerable to collapse through poor diet, disease, stress and aging. Calroy is working with university departments and medical organizations around the world to advance the understanding of the endothelial glycocalyx. Cellular, animal and human studies have already been conducted to understand the function of the patent-pending glycocalyx generating compound used in Arterosil. Details of these early studies are available to healthcare practitioners registered for access to Arterosil. A copy of your healthcare professional license is required for validation. 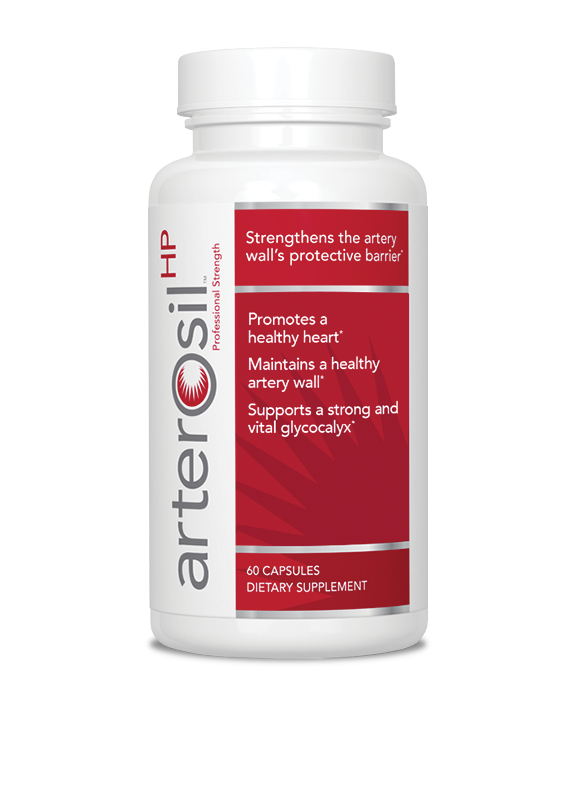 Arterosil is an advanced nutraceutical proven to rebuild the endothelial glycocalyx. The endothelial glycocalyx is a thin gel-like layer that coats the entire luminal side of the vascular endothelium. It is the gatekeeper to the endothelium and therefore plays a critical role in cardiovascular health. Arterosil is available exclusively through licensed healthcare practitioners.